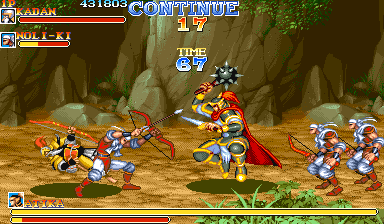 Warriors of Fate is a late-generation brawler from Capcom that's based on the Romance of the Three Kingdoms mythos. 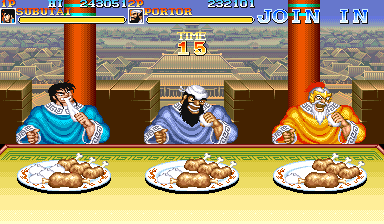 It features five extremely distinct fighters, Street Fighter-esque special attacks, freeform combos, and both weapons and hand-to-hand combat. 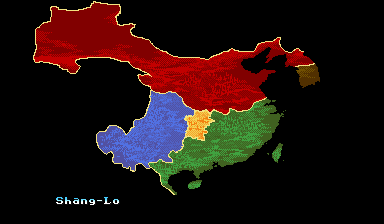 Shang-Lo: a country ruled by murder and violence under the iron fist of the dark lord Akkila-Orkhan. Having driven his own country into ruin and despair, Akkila-Orkhan now casts his covetous eyes on his neighboring countries. As his conquering shadow spread, one man rose up against this black tide. His name was Kuan-Ti, and with the aid of the five greatest warriors and the one wisest mind in his realm, Kuan-Ti would fight to defend his people and lands. 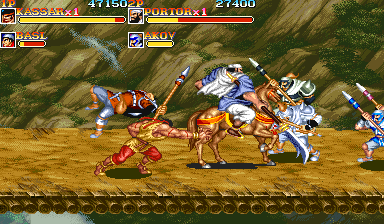 Warriors of Fate was largely ripped-off by the Chinese brawler series Knights of Valour. 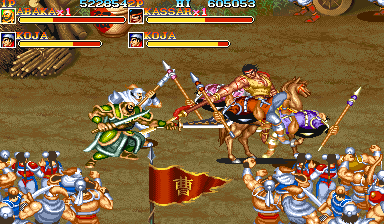 Both share the Romance of the Three Kingdoms setting as well as very similar gameplay mechanics. Capcom also released a Tenchi Wo Kurau brawler on PC Engine CD, although it's an entirely different game. 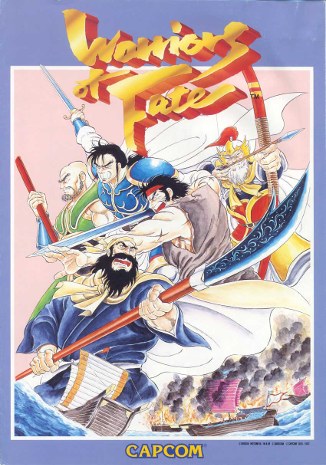 Capcom also developed the Destiny of an Emperor RPG series on NES (and Game Boy in Japan) that features the same setting, story, and characters as this game. 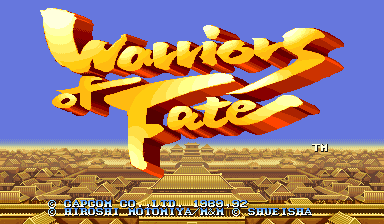 Warriors of Fate somehow exceeded my high expectations. 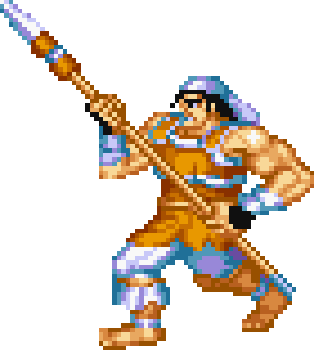 Its fighters are remarkably distinct and its huge movesets put a strong emphasis on throws and advanced techniques. It even has a cool horse-riding mechanic like Knights of the Round. The graphics and sound are super high-quality like you'd expect.